THE FOLLOWING RAFTS ARE FOR AVIATION USE. PLEASE SELECT THE MODEL AND YOU WILL BE REDIRECTED TO THAT RAFT AND ITS AVAILABLE OPTIONS PAGE. Life Raft Store is Winslow's largest distributor, in addition, we also carry Eastern Aero Marine, "EAM", Revere, Switlik, and commercial rafts for airlines. We ship to all points on the Globe and offer free shipping within the USA on purchases over $3000.00. All Rafts come with a three-year service interval and come Vacuum packed for extended life. 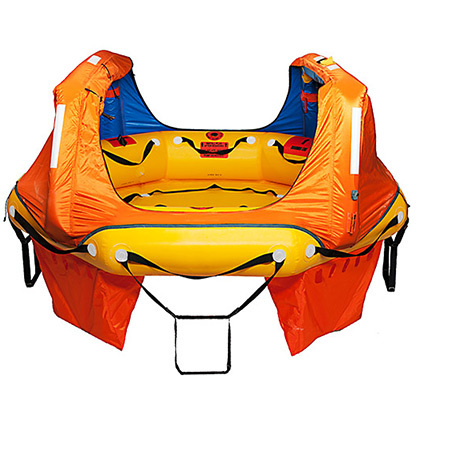 We only offer top of the line rafts for Aviation and we also rent Winslow, EAM, and Switlik rafts. Life raft store is the only company with a raft guarantee. In the event you need a raft for a trip and plan to purchase, we will loan you a raft for up to seven days on a purchase. All you pay is the shipping cost to and from your location. Rafts are generally not available off-the-shelf for purchase for two reasons. First, the raft comes with a three-year service life. Off-the-shelf rafts would have aged at the time you buy it from the time it was built. Three years is a short lifespan and you pay for it, so get your full three years when you buy. The second is the configuration. Many aircrafts have different needs. Size, pack dimensions, ELT programming and survival equipment. All rafts are built to order. This is especially true in aviation rafts. Winslow takes between 7 to 10 days to build a raft. EAM takes a little longer but you're buying a Life-Saving Device. Have it built for the conditions your flying over? A warm water raft is not going to do you any good if your flying over cold water. While many Rafts come with Hyperthermia protection, some do not, so this is another reason we guide you on your purchase and sell you what your flight demands, not just any ole raft. Remember, your passengers are your responsibility, Do it right. International Customers need to look at the JAR-OPS configurations to meet the requirements for the country that the aircraft is based. 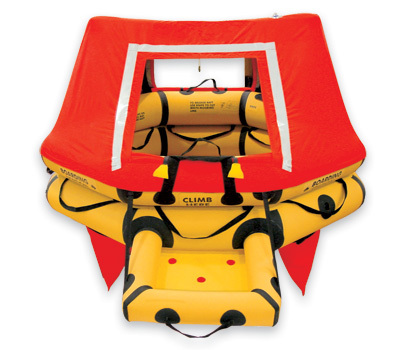 At Life Raft Store we offer life rafts that meet JAR-OPS 1 and 2. Our rafts also meet CAA and FAA regulations. We have rafts that are TSO'd to C70a, DGCI, and CAA. Aircraft weight also plays into the Raft configurations. Any Aircraft over 12,500 lbs requires a TSO'd raft. Under the 12,500 rule you can use a recreational class Raft, however, if the aircraft is operated under FAA part 135, it would then require a Cat 2, TSO'd raft. Another major cost is the ELT. In many circumstances, your Raft will also need to be outfitted with a TSO'd ELT. Many of the TSO'd ELTs are north of $3000 and are only good for 5 years. The battery then needs to be changed out and in some ELTS the cost can be between $500 and $1200.00. Because of the service interval on a Raft, 3 years, you may need to change the battery every three years, so the cost of maintaining a TSO'd raft can be high. 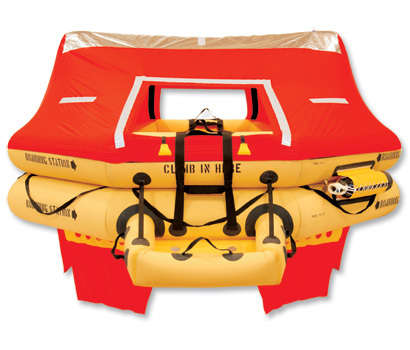 At the Life Raft Store, we will recommend the correct raft configuration that works best for you. If your not a plane that flies over water very much, you may instead consider opening an account with a rental program. Under the program, you only pay for possession time, not out of store time like many other rental companies. When buying a raft you need to consider both avenues. Renting versus buying or ownership. If you have any questions, call us at the Life Raft Store and speak with Ron or Rachel.